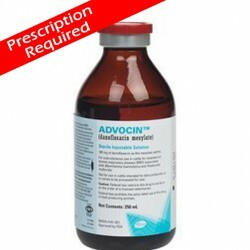 Advocin 2.5% Solution for Injection contains danofloxacin, a broad-spectrum fluoroquinolone antimicrobial that is active against a wide range of Gram-negative and Gram-positive bacteria and mycoplasmas. Advocin 2.5% Solution for Injection is very rapidly absorbed after intramuscular administration and has marked affinity for tissues of the lung and gastrointestinal tract. 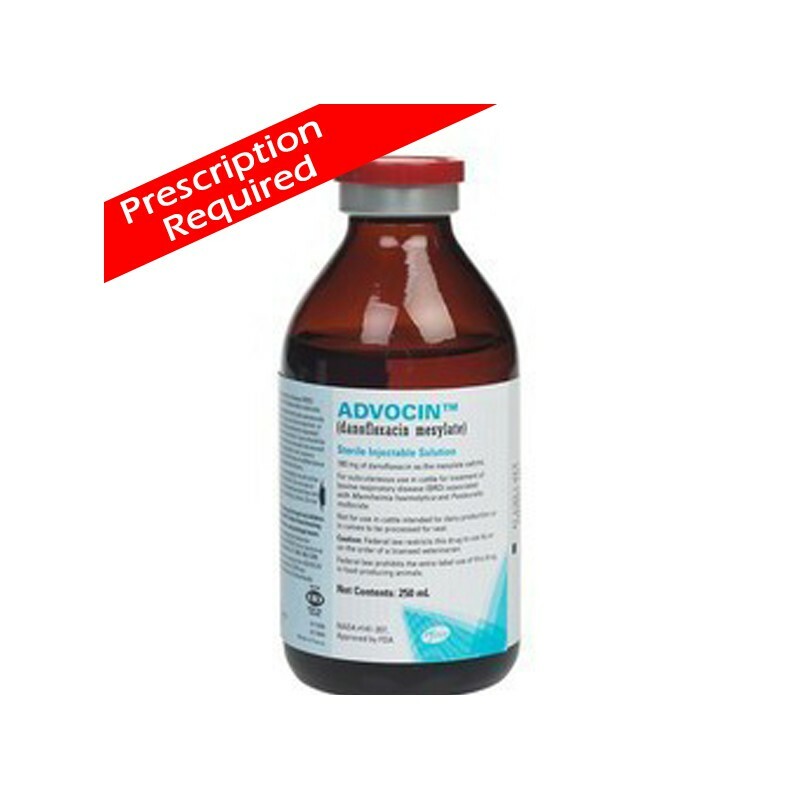 Cattle Advocin is specifically indicated for the treatment of bovine respiratory disease (shipping fever, pneumonia) caused by Mannheimia haemolytica and Pasteurella multocida and enteric infections caused by Escherichia coli and Salmonella spp. in cattle. Pigs Advocin is specifically indicated for the treatment of respiratory disease caused by Pasteurella multocida and Actinobacillus pleuropneumoniae in pigs, and the treatment of enteric disease caused by Escherischia coli in pigs.